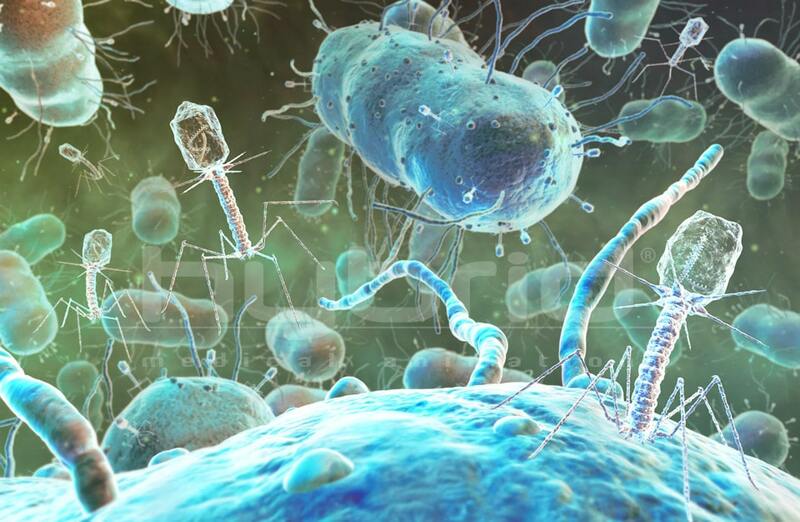 Illustration of T4 bacteriophages targeting E. coli bacteria. Bacteriophages are small viruses that infect bacteria and kill them by multiplying and essentially filling the bacterial cell to bursting. Watch the animation from the link below.